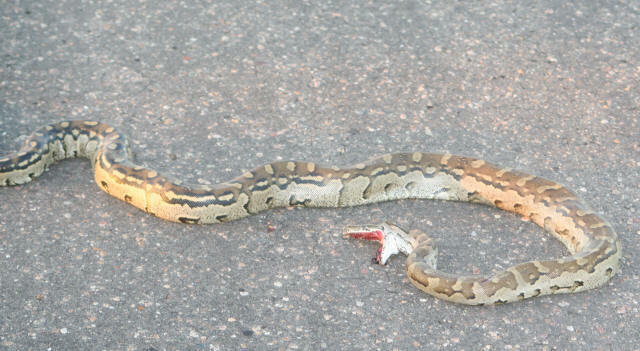 An African Rock Python that unfortunately was dead in the Shigwedzi area... How it died is a mystery! 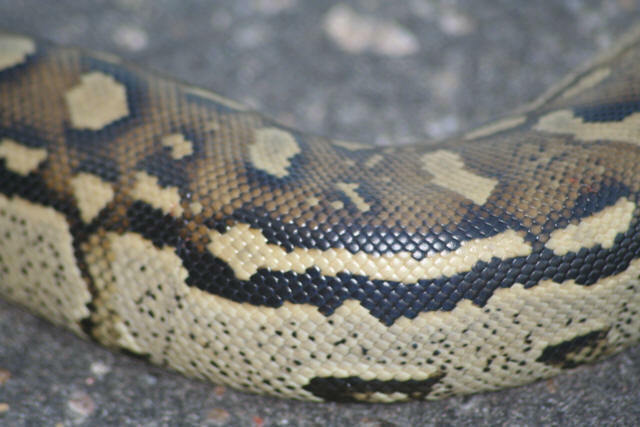 A close up of the skin on the African Rock Python. 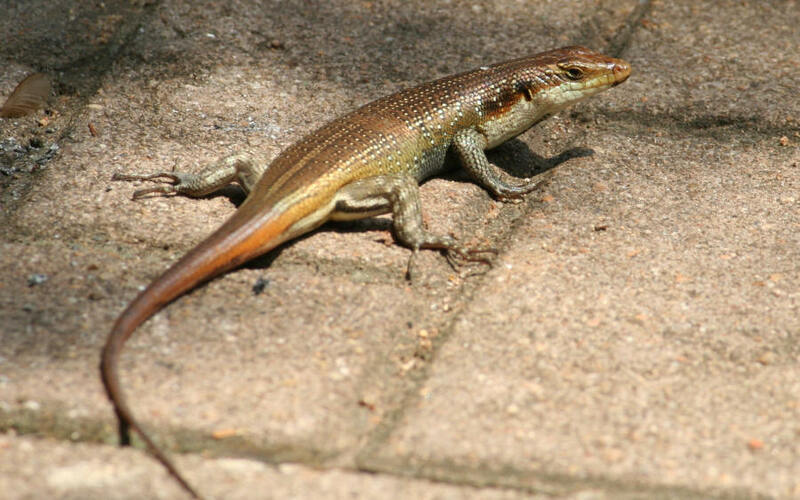 The common Bluetailed Skink, a very colourful lizard. 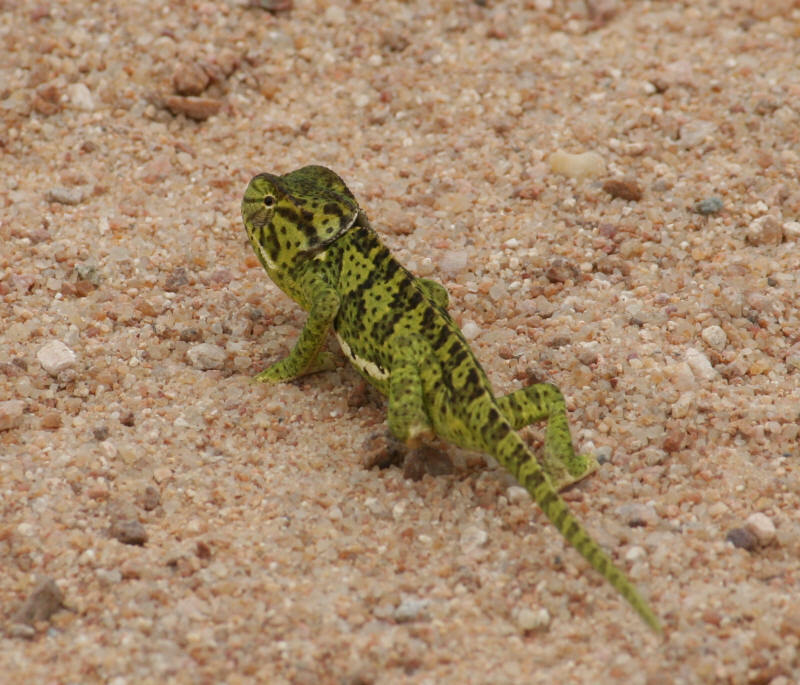 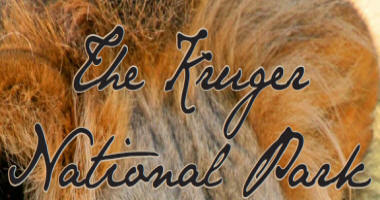 This one was seen on the way to Malelane. 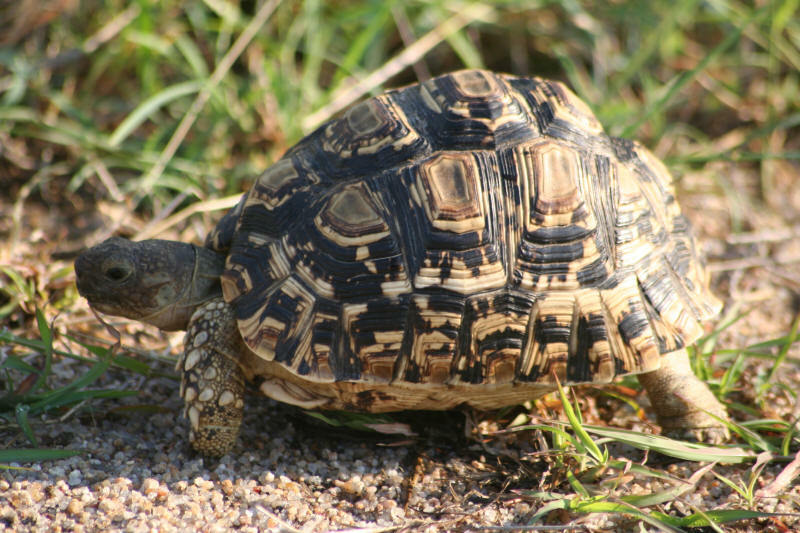 One of the "Little Five", the Leopard Tortoise. 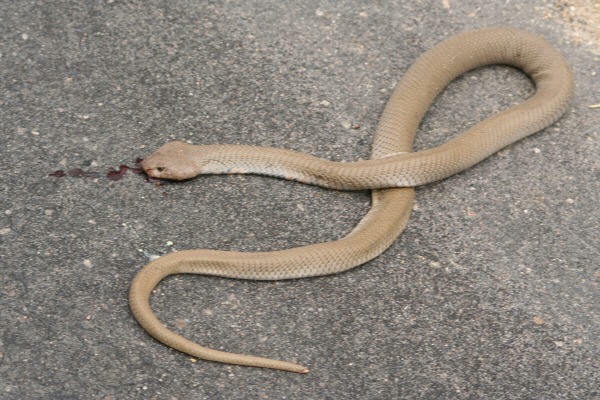 Another dead snake we saw, a Mozambiquean Spitting Cobra. 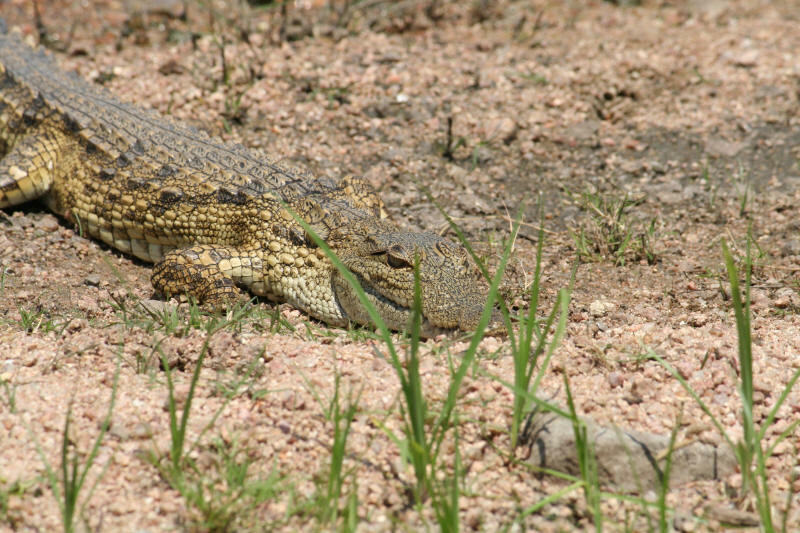 The beautiful Nile Crocodile, found throughout the park. 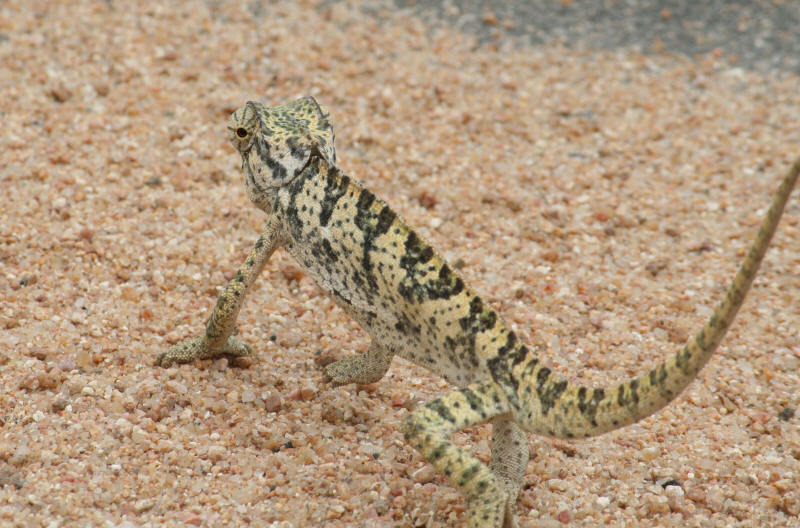 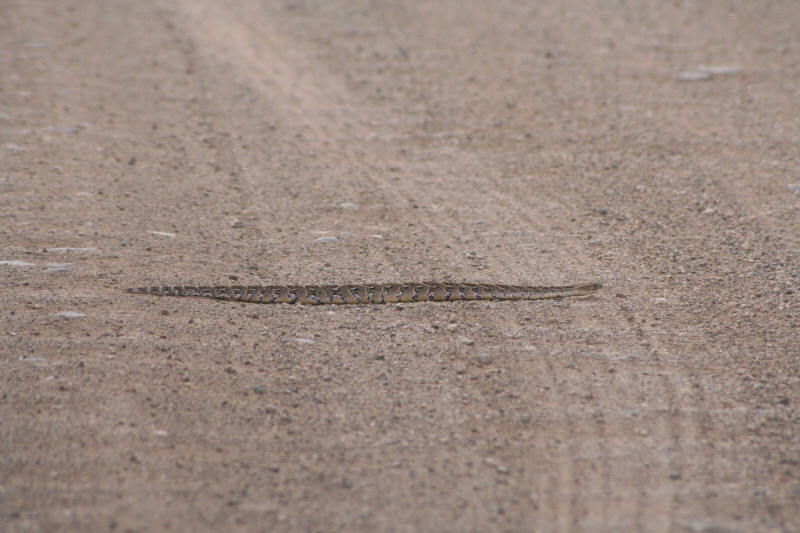 A Puffadder crossing the road on the S126 close to Satara. 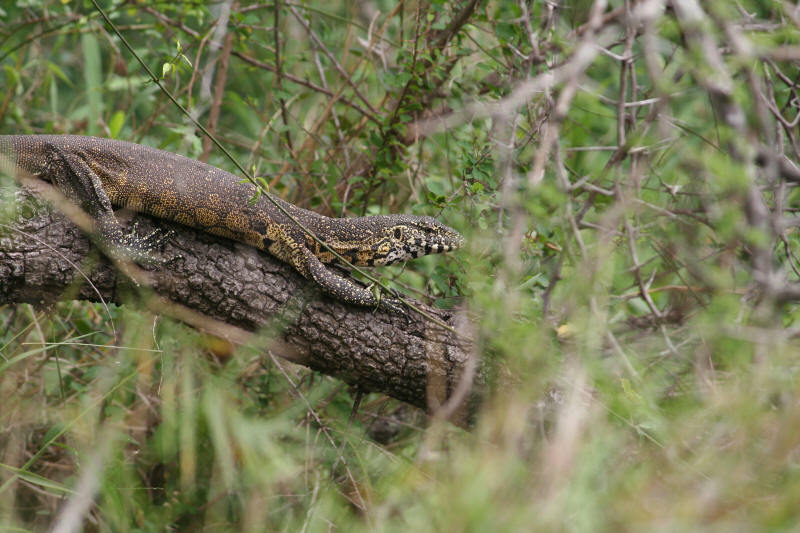 The Rock Monitor Lizard, often confused with the more common Water Monitor (see below). 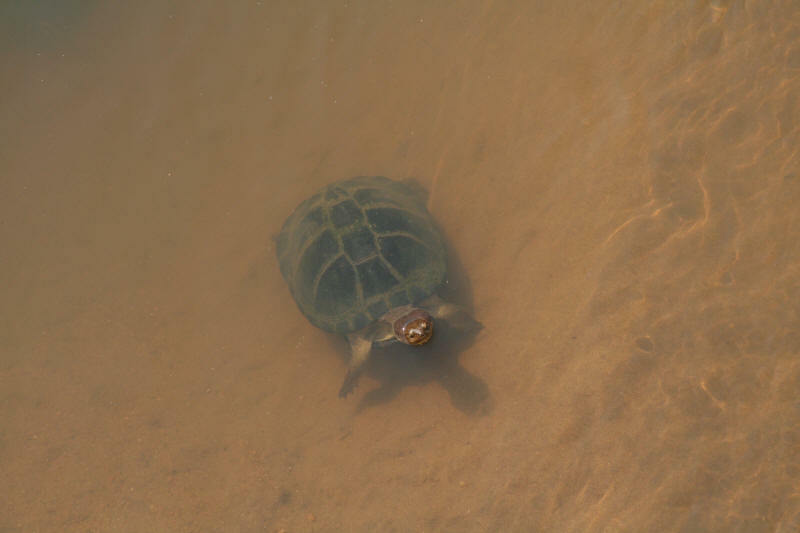 A Terrapin in the Letaba River. 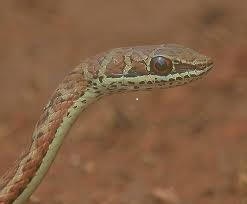 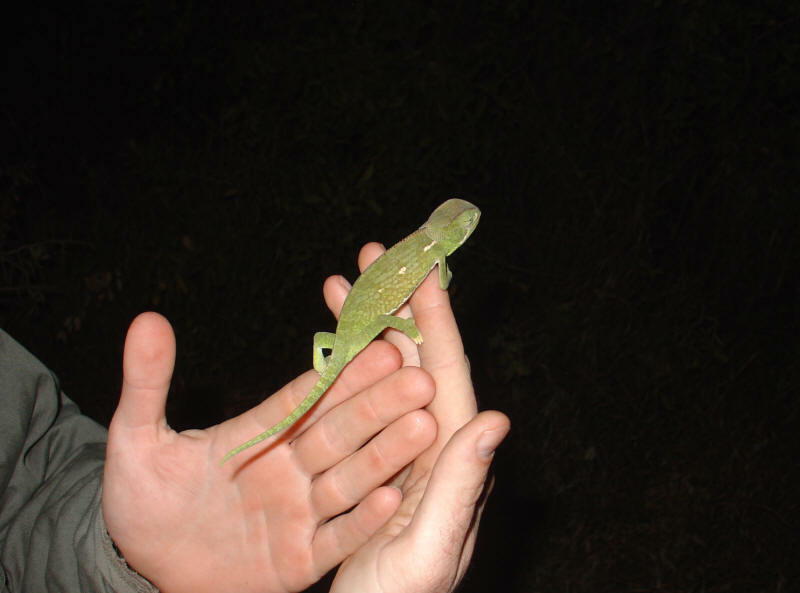 A Vine Snake photographed at Olifants Rest Camp. 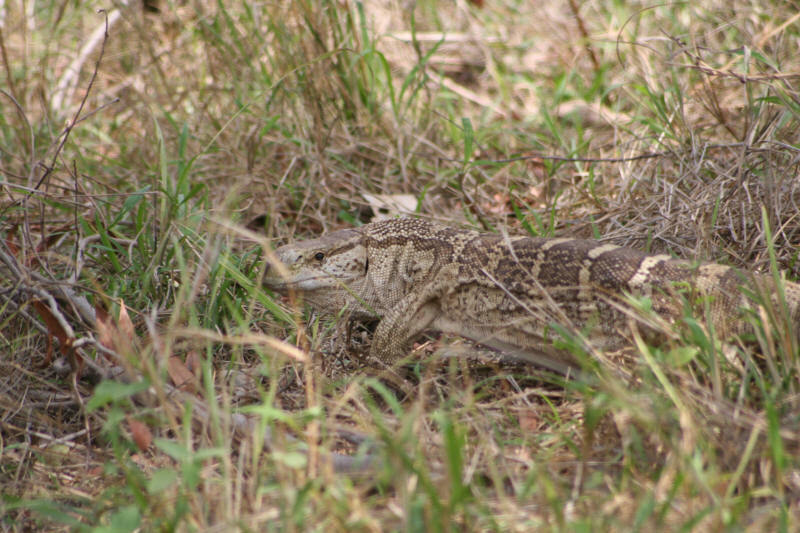 A Water Monitor Lizard at Lake Panic. 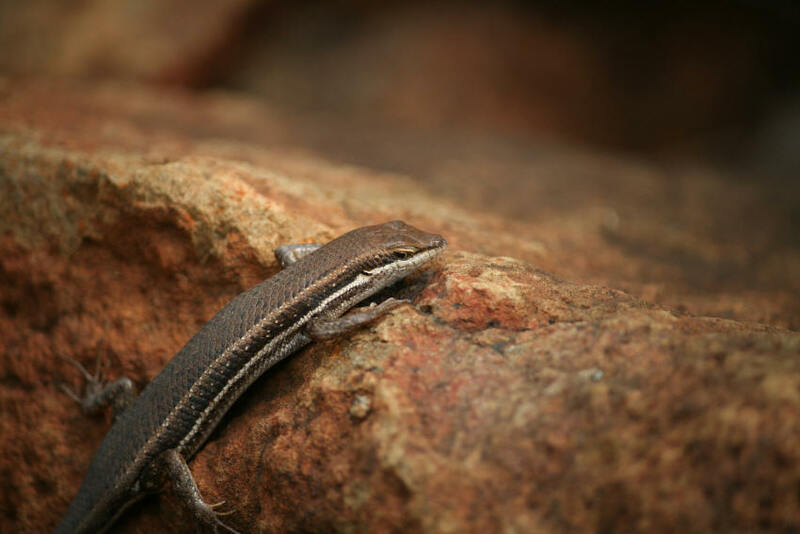 A Striped Skink at The Outpost Lodge in the north. 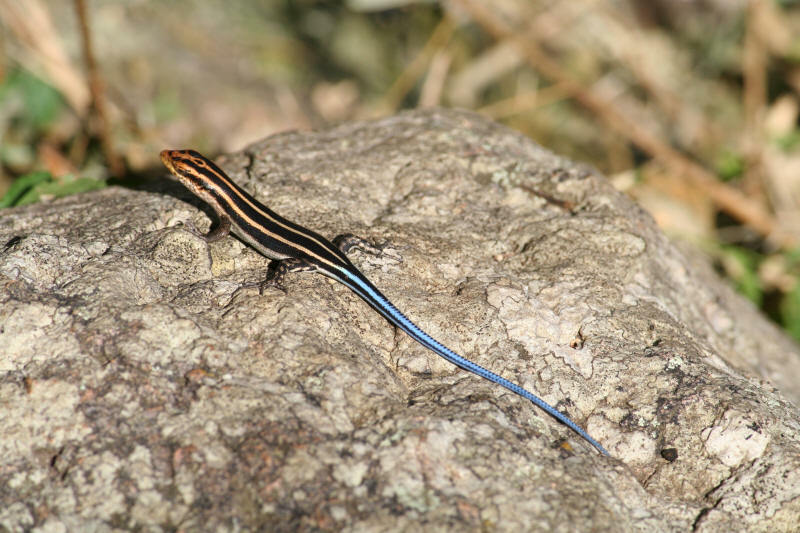 Rainbow Skink in the Berg-en-Dal Rest Camp. 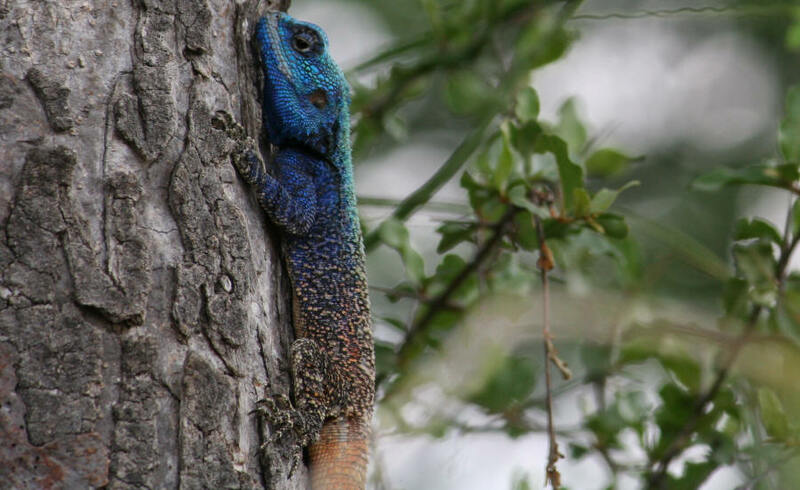 The beautiful Blue Headed Tree Agama (Blueheaded Lizard). 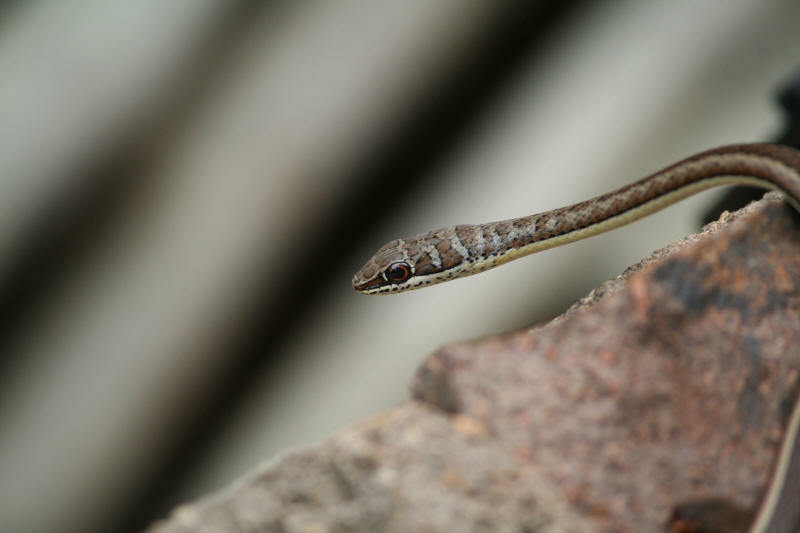 A Western Stripe Bellied Sand Snake seen on the Red Rocks Loop.